My summer school at Missenden Abbey this year was about making a small panel inspired by the Italian artist Georgio Morandi. His colour palette is neutral, soft chalky colours, greys, browns, cream and rust. 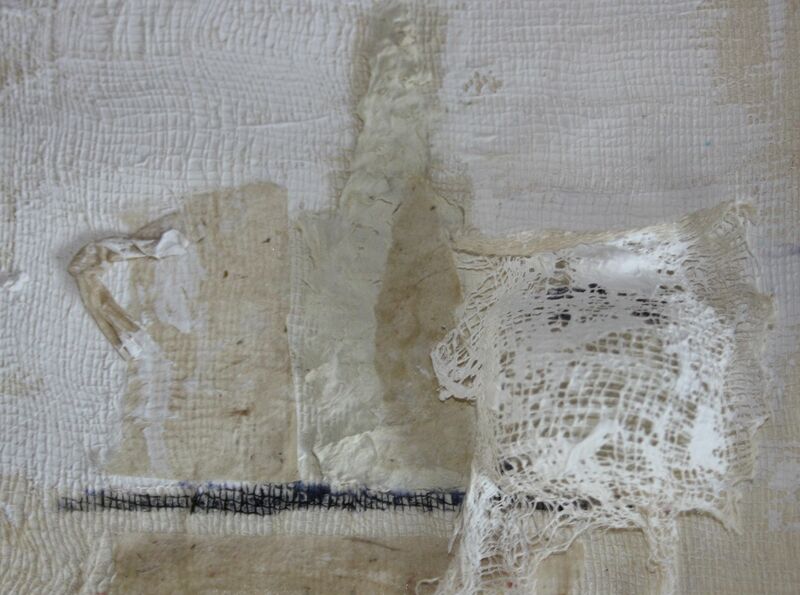 We explored surface using gesso and scrims onto paper and fabric. 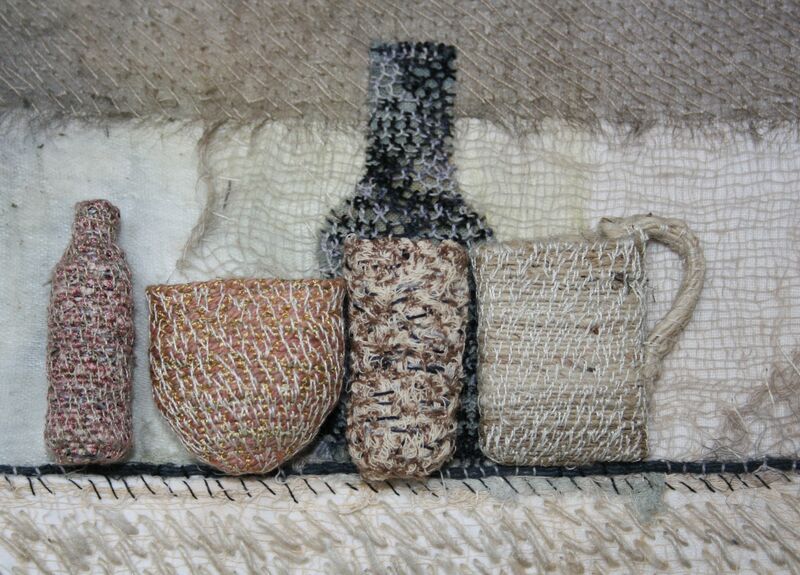 Our stitch techniques were based on those used in stump work, detatched buttonhole and needleweaving, with some padding and working with fine threads. Categories: courses, Workshops | Permalink.